Asus launched fonepad in india. The 7-inch tablet features Intel Atom Z2420 chip clocked at 1.2GHz, 7-inch HD IPS with 1280X800 resolution. The 7-inch fonepad packs 1.2GHz Intel Atom chip, PowerVR GC540 GPU and 1GB RAM. the tablet has 8GB internal storage with microSD slot expandable upto 32GB and also asus offering 5GB Life Time ASUS Webstorage. WLAN 802.11 b/g/n, Bluetooth V3.0, GPS, tablet has a 3-megapixel rear camera and 1.2-megapixel front camera, tablet supports 3G, voice calling feature through micro-SIM slot. Asus fonepad runs on Android 4.1 JellyBean. Asus claiming 9-hours battery backup. The tablet available in titanium gray or champagne gold, it weighs 340g. 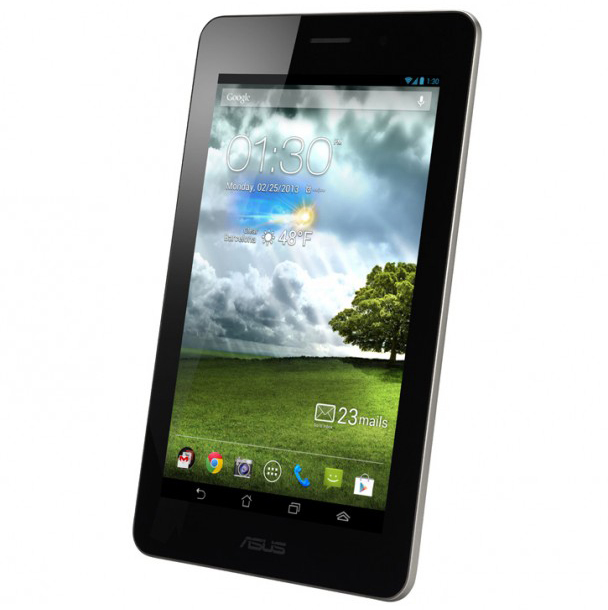 The asus fonepad is available at Rs.15,999.